Gor Mahia was unable to overcome the absence of 5 key players and the coach as they went down 0-2 to RS Berkane of Morocco at Kasarani on Sunday. 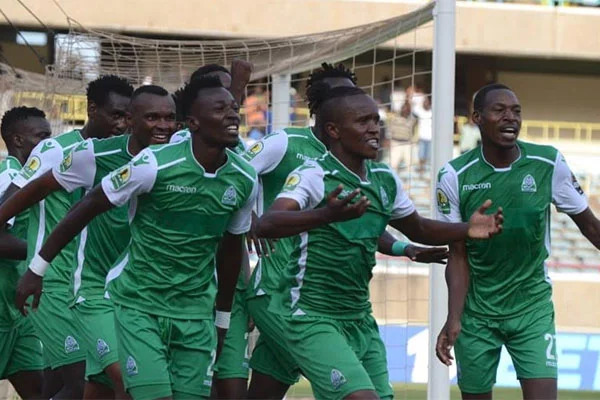 Gor Mahia are left with one tall mountain to climb following Sunday’s painful 2-0 loss to Moroccan side RS Berkane in their Caf Confederation Cup quarterfinal first leg tie at the Moi International Sports Centre, Kasarani. A red faced Gor coach Hassan Oktay blamed the loss on the players’ strike that had seen them boycott training in the days leading up to the match. Midway through the second half, a scary looking man ventured onto the pitch and gestured animatedly at a bewildered assistant coach Zedekiah Zico Otieno, letting him know in no uncertain terms that more was to be desired from the team. “My job is very difficult. These types of games require players to be at the best frame of mind. Days before the match the players are on strike. You struggle so hard to motivate them all season and then this. A 2-0 loss because of this. I am so hurt. My job is hard,” said a dejected Oktay in his post match interview. “The five missing players affected team balance and the quality of our performance today. That’s why we lost,” said Oktay. While Gor took comfort in the experience of veteran Dennis Oliech, the Moroccans seemed to bank on midfielder Omar Namsaoui, who was constantly at the centre of many chances for Berkane. He delivered a free kick in the 24th minute which ace midfielder Issoufou Dayo headed accurately into the net to temporarily silence the raucous home fans. Barke El Helali added salt to injury for K’Ogalo in the 51st minute when he capitalised on a defensive mistake from Philemon Otieno to send the ball right into the net. Boniface Omondi, Kahata and Oliech had good chances in the first half, but they lacked in luck and finishing technique and all their chances came to naught in that first half. Chances were few and spread apart in the second half, as the Moroccans managed the game perfectly and purposed only to frustrate their opponents by holding the ball within their area. Shortly through the second half, and with the vocal terrace fans demanding changes in the squad, coach Otieno introduced Erisa Ssekisambu just shortly after he had brought Nicholas Kipkurui for Francis Mustafa. Sekissambu came through with a last chance in the 78th minute but goalkeeper Abdelaalai M’Hamdi lay on the path of the ball to make it another incredible save. 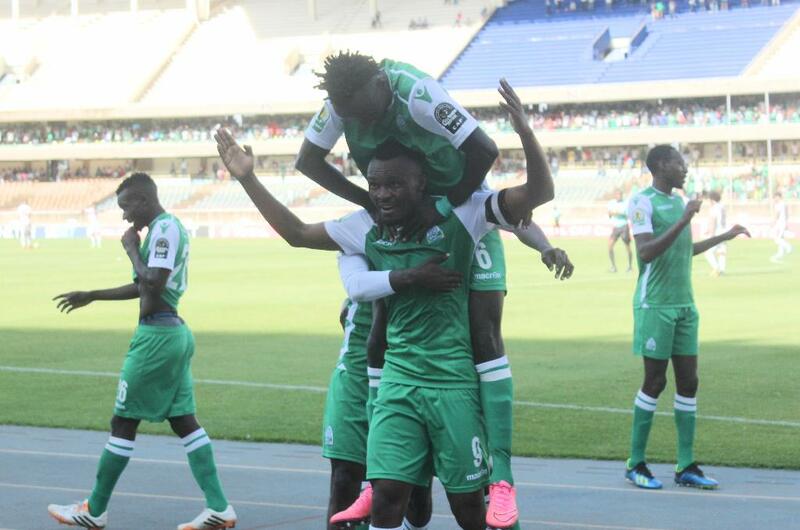 Gor Mahia scored a memorable 2-0 win over NA Hussein Dey of Algeria. It marks the first time that Gor Mahia has beaten an Algerian side. The goals came from Francis Kahata and Jacque Tuyisenge. 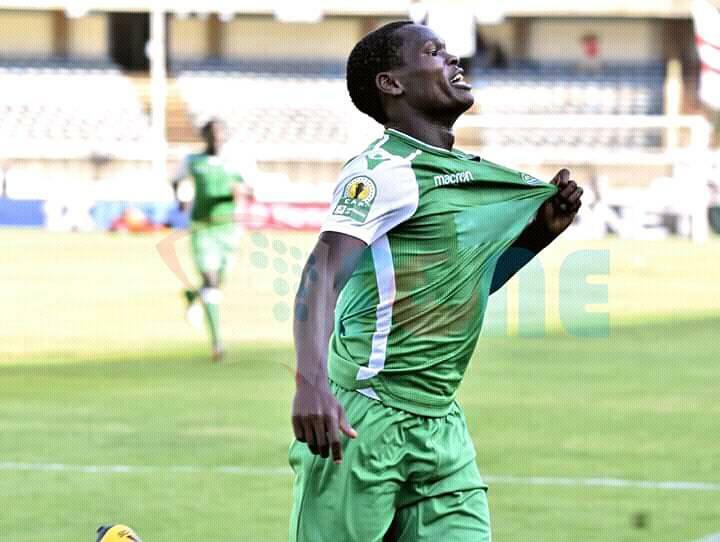 Two late goals from Francis Kahata and Jacques Tuyisenge saw record Kenyan champions Gor Mahia hit Algeria’s NA Hussein Dey 2-0 at the Moi Sports Centre Kasarani on Sunday evening to go top of Group D in the CAF Confederations Cup. The result saw Gor move top with six points while Hussein remained second with four pending the later game between Zamalek and Petro Atletico in Alexandria. The game looked well to end in a barren draw after Hussein did their end of time wasting tactics throughout the match, but Kahata’s bullet of a shot on his weaker right foot and Jacques Tuyisenge’s third goal of the group phase saw Gor come out victorious in a dramatic tie. The final five minutes of the game sure made up for all the drama that Hussein’s time slowing tactics had deprived of the game. Chems Edine Harrag was sent off for bad mouthing the referee just after his side conceded, and there was a near maul in the technical area after K’Ogalo scored the second. The Hussein bench poured into the Gor side just after they complained of objects thrown at them almost ending in a near fist fight between officials of both sides. Of the 45 minutes played in the opening half, Hussein players must have spent half of them on the floor trying to kill the momentum of the game whenever Gor were building up play and growing into the game. They had to make two changes, Ahmed Gasmi and Hocine El Orfi coming off within the first half and replaced by Abderouf Chouiter and Hocine Laribi respectivel. 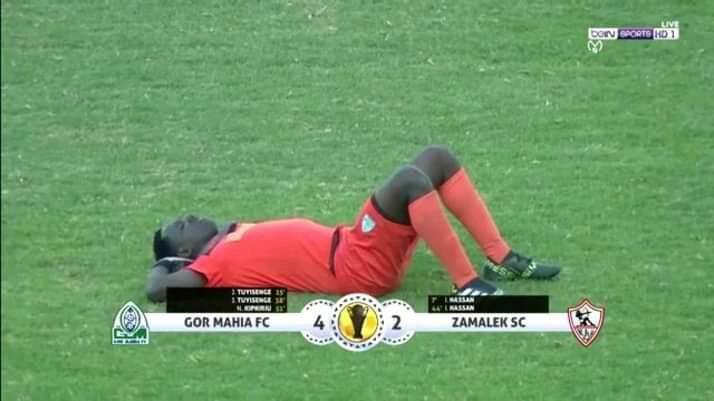 While Gasmi picked up a head injury after a clash on the air with Samuel Onyango, El Orfi went down in the late stages of the half clutching his calf. Gor had the chances in the opening half and fairly should have gone back to the dressing room at least a goal up. In the second minute of the game, Onyango had the game’s first chance when he took the ball well by his chest but his shot on the volley was inches wide. The visitors came close in the 10th minute when Faouzi Yaya chipped the ball behind the Gor defense but Ouallid Allati’s effort at lobbing the ball over keeper Boniface Oluoch was futile the ball going wide. Two minutes on the turn, Gor had a brilliant chance to break the deadlock when Nicholas Kipkurui stole the ball off a Hussein defender before squaring to Jacques Tuyisenge whose shot on the weaker left foot was saved by the keeper. Gor continued to pile pressure on the visitors, forcing them to play on the back foot, but they couldn’t get the final quality ball to break the deadlock. In the 35th minute, a clean one-two change of passes between Onyango and Tuyisenge saw Onyango break into the box, but the winger was bundled off the ball as he prepared to pull the trigger. At the stroke of fulltime, Hussein had their first effort at goal when Elyes Yaiche broke into the box, but his shot after being pushed out wide was an easy catch for Oluoch in Gor’s goal. A few minutes into the second half, Gor were almost caught out for throwing bodies upfield when Harrag sent Yaya through on goal from the left, but the latter’s shot at Oluoch’s near post hit the side netting. Gor kept the pressure but Hussein defended in numbers and cleared any ball that landed in their zone. But, they cracked in the final five minutes of the game, Gor taking it home at the death. Kahata broke the deadlock in the 85th minute when he slammed the ball home after picking up a cross from Shafik Batambuze. Even before the decibel levels in the stadium could lower from Gor’s goal, Tuyisenge sent the Kasarani Stadium into frenzy with what surely was the final nail on Hussein’s coffin, racing to a through ball before lifting it over the keeper. Despite the small stoppage that endured from the almost ugly trouble at the end, Gor held on for the vital points. 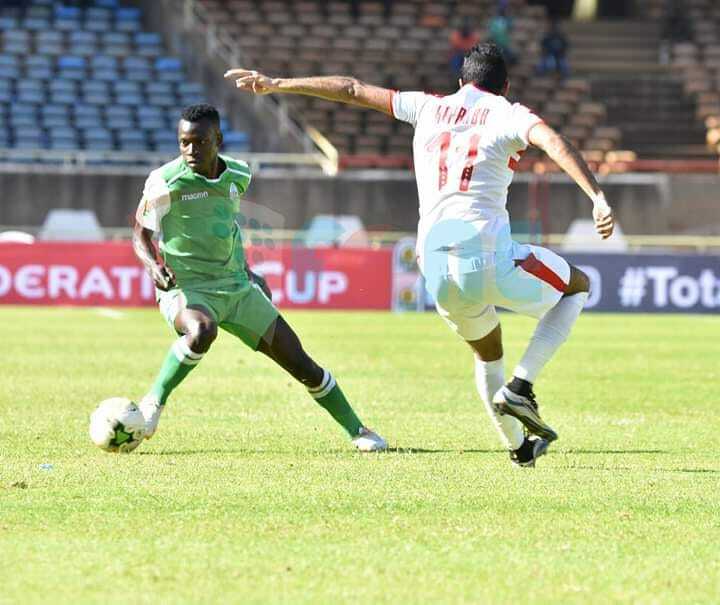 Short handed Gor Mahia fought gallantly but lost 2-1 to Angolan representatives Petro Atletico in their second CAF Confederations cup group stage match. Nicholas Kipkirui scored Gor Mahia’s goal in injury time. Hosts Petro Atletico secured their first win of the Caf Confederation Cup group phase after a 2-0 win over Gor Mahia at the Estádio 11 de Novembro in Luanda, Angola on Wednesday. First half goals from Manguxi Ribiero and Tony Ribiero fired the Angolan champions to a 2-0 lead at the break. Gor improved after the break and Nicholas Kipkirui pulled one for K’Ogalo in added time, his second of the competition. At a sparsely populated Estadio 11 de Novembro in the Angolan capital, the Kenyan champions, still beaming with confidence following that historic win over Zamalek last week, found themselves trailing by two goals at the break in this Group D encounter. This as the 15-time Angolan champions scored the opener on 13-minutes after a sequence that left Gor defender Shafique Batambuze cursing himself following a lapse in decision making. The Ugandan watched helplessly as his feeble pass towards Francis Kahata intercepted by Tiago Azulao in the visitors final third. The recipient then dribbled forward and fed Manguxi Ribiero, who thereafter unleashed a first time right footed shot, which easily beat custodian Boniface Oluoch. Hassan Oktay’s team was missing the services of two dependable forwards namely Jacques Tuyisenge and Dennis Oliech, who’d combined to undo Zamalek in the previous game of this competition. In their stead, Oktay fielded Burundian Francis Mustafa who had three half chances in the opening 10 minutes but failed to capitalise on either, alongside Erisa Ssekisambu. One of these chances resulted in the forward shooting straight at the welcoming arms of Petro custodian Elber. The other was cleared for a fruitless corner as the Kenyan champions dominated the possession but the Angolans- with two Brazilian players in their ranks – proving more lethal. The lanky Job missed a sitter for the host team when he failed to direct a shot into a yawning net but it ultimately didn’t matter as the second goal followed soon after. In the run up, Danilson turned Joash Onyango inside out in the right hand side of the cross and whipped a cross ball which was connected into the back of the net via Anthony Ribiero’s forehead, in a passage of play which left Charles Momanyi seated on his backside. Onyango had the best chance in the second half off Kahata’s corner kick. Elber proved equal to the task with a diving save to tip the ball over the bar. Oktay brought on George Odhiambo and Kipkururi for Mustafa and Boniface Omondi but these changes proved insufficient to mastermind a crucial away point. Oliech dedicated his goal to his late brother Steven Okumu pictured above who scored against Zamalek the last time these two side met. Gor Mahia overcame two defensive lapses to put four goals past Zamalek. 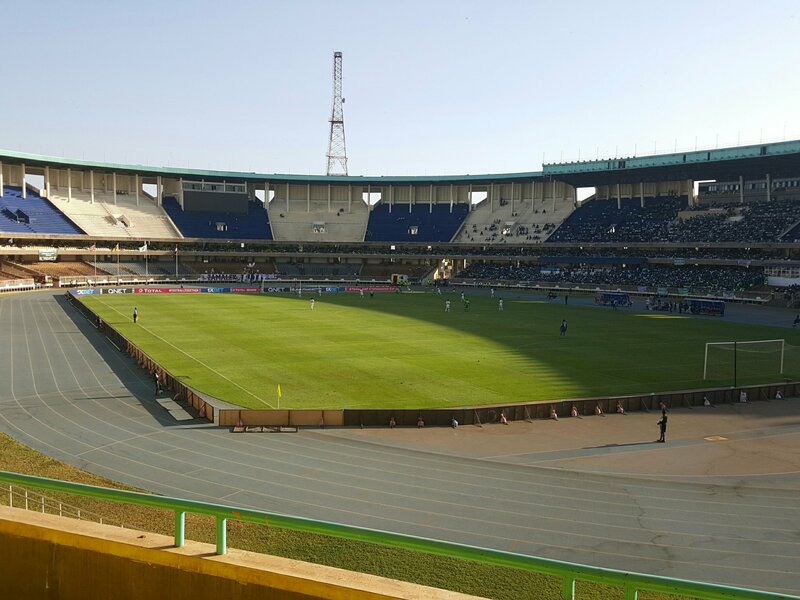 Gor Mahia recovered from a goal down to beat Egyptian giants Zamakek 4-2 in their Confederations Cup Group D tie at Kasarani. Ibrahim Hassan struck after only six minutes only for Jacques Tuyisenge to level in the 24th minute before heading Gor Mahia into the lead in the 37th minute only for Hassan to draw the White Knights level before half time. 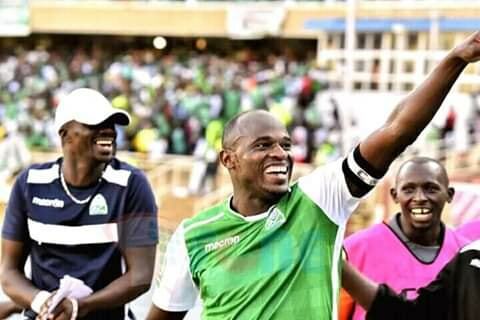 Nicholas Kipkirui struck Gor Mahia’s third before Dennis ‘The Menace’ Oliech completed the turnaround in stoppage time to silence the illustrious Egyptians. 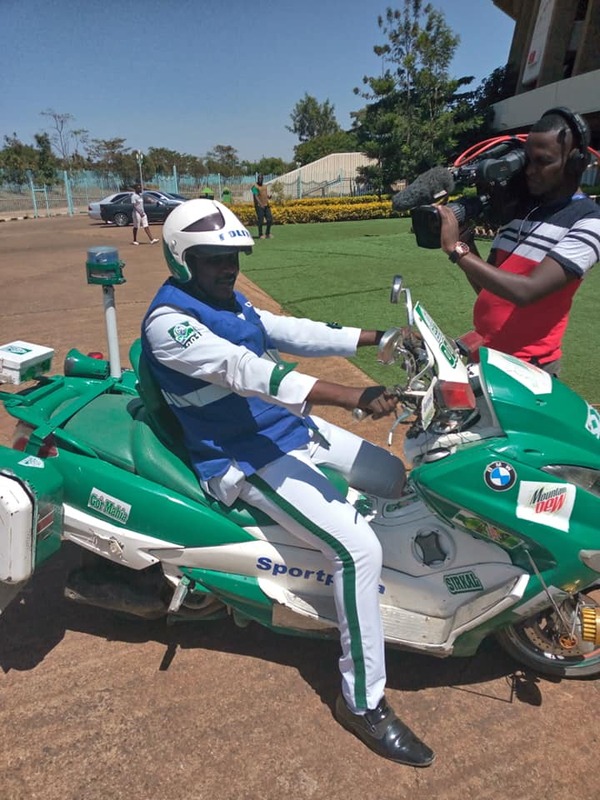 The build up to the clash was overshadowed by a directive by the Confederation of African Football (Caf) stopping K’Ogalo from wearing jerseys displaying their sponsor, SportPesa, because the continental body has signed a deal with a rival betting company. On the pitch, Gor Mahia struggled to get past their bigger opponents falling behind after only six minutes through Ibrahim Hassan. The Kenyan champions were under pressure from kick off with goalkeeper Boniface Oluoch being forced to clear two back-passes in quick succession, the second one resulting to a corner from which Hassan easily scored in. Hassan Octay’s Gor, however, responded well but Zamalek’s backline held well beating the home side to high balls. Nicholas Kipkurui found himself in a goal scoring opportunity but was easily pushed off the ball in the 10th minute. As the match progressed Gor Mahia’s confidence grew and time and again found themselves inside the Zamalek defence. The equaliser finally came in the 24th minute through Jacques Tuyisenge following a brilliant cut back from Francis Kahata from the left flank. Gor Mahia looked to have settled down after the goal creating more chances as the match progressed towards the break. Boniface Omondi made a good run on the right flank, but could not finish off his effort. Then Omondi turned provider for Tuyisenge in the 37th minute when he turned in Francis Kahata’s pass to pick out the Rwandese who headed home the second. The Gor Mahia backline will blame themselves for allowing Zamalek’s second goal. A through pass found Ibrahim Hassan waiting and he scored his second of the match just before the break. Tuyisenge turned provider as he set up Nicholas Kipkurui to score Gor Mahia’s third goal in the 50th minute. 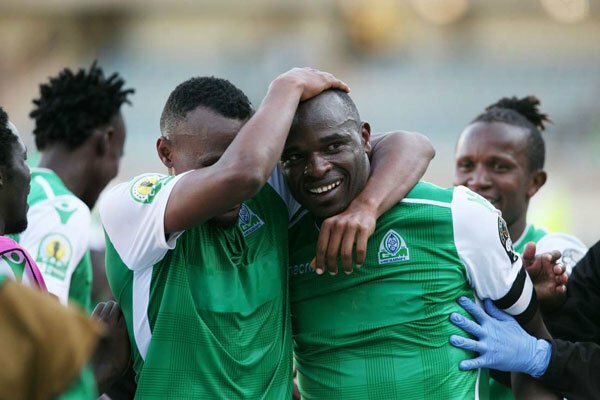 Gor Mahia were forced to pull out injured Kipkurui for Dennis Oliech and at this time the visitors looked to have nothing much to give in the match. With his second touch of the ball Oliech picked out Kahata, but the midfielder failed to score with plenty of space for him to tap in. He then saved the best for last scoring the fourth goal in the 89th minute and with it ensured Gor Mahia won comfortably at home. Gor Mahia line-up: Boniface Oluoch, Shafiq Batambuze, Nicholas Kipkurui (Dennis Oliech), Francis Kahata, Jacques Tuyisenge, Boniface Omondi, Joachim Ochieng, Keneth Muguna, Lawrence Juma, Philemon Otieno, Charles Momanyi. Unlike last season when Gor Mahia went to Tanzania and Rwanda, this time Gor Mahia have to travel to extreme ends of the continent, flying to North Africa twice and to Angola once. The cost of travel is exhorbitant and club chairman Ambrose Rachier is once again appealing to the government for assistance. Gor Mahia need Sh35 million to honour their upcoming Caf Confederation Cup group stage matches. And the 17-time Kenyan champions have already sent a distress call to the government to bail them out ahead of their opening match next month. K’Ogalo were pooled in a tough group “D” that has five-time African champions Zamalek of Egypt, Petro Atletico (Angola) and Hussein Dey of Algeria in Monday’s draw conducted by Cameroon legend Patrick Mboma in Cairo, Egypt. Despite celebrating reaching the group stages of this competition for the second successive time, the painful reality has dawned on the club management ahead of their opening game against Zamalek on February 3 in Nairobi. Gor, who edged out New Stars de Douala of Cameroon 2-1 on aggregate in the previous round, are already sure of receiving Sh27 million for reaching this stage. 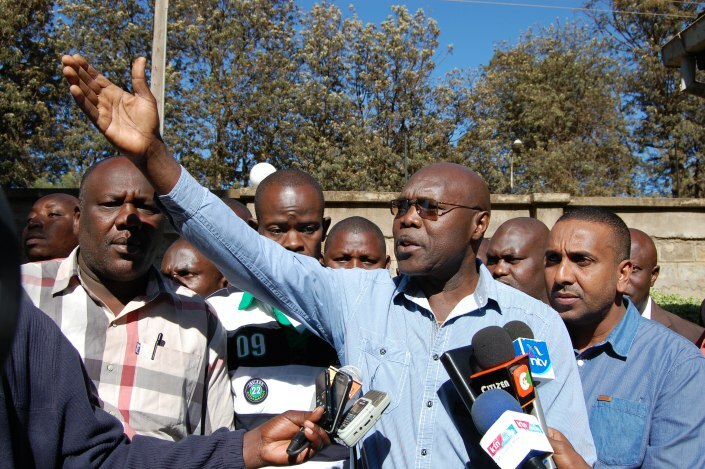 However, club chairman Ambrose Rachier says the annual Sh66 million sponsorship from gaming firm SportPesa is insufficient for this campaign. The amount is channelled towards the Sh5.5 million monthly wage bill of the record champions. “First, I would like to thank the government for paying our tickets to Cameroon to honour the New Stars game,” Rachier said. “I humbly appeal to them to cater for accommodation and transport in upcoming trips since we are struggling financially,” the veteran lawyer added. According to Rachier, an away trip costs about Sh8 million in flight tickets and accommodation. “We are discussing on a motivational scheme for the playing unit for a smooth show this time round,” he concluded. His sentiments were echoed by Deputy Secretary General Ronald Ngala, who said they target to reach the semi-finals having missed by a whisker last season, after finishing third in group “D” on five points, three behind Algerian outfit USM Alger and Rayon Sports of Rwanda, who progressed to the quarterfinals. Defender Philemon Otieno says they are prepared to make amends despite tough away fixtures in Northern and Southern Africa. “One thing we’ve learnt in these continental fixtures is to be mentally strong when playing away and make sure you convincingly win at home,” confided Otieno, who captained the side in the two-leg playoff. Gor has up to January 31 to register youthful defender Geoffrey Ochieng’, strikers Ephrem Guikan, Nicholas Kipkirui and legendary Dennis Oliech, who were ineligible to feature in the qualifiers. Gor Mahia held New Star de Douala of Cameroon to a scoreless draw in the CAF Confederations cup playoff second leg. Given that Kogalo won the first leg 2-1, they have now qualified for the group stages for the second time in a row. 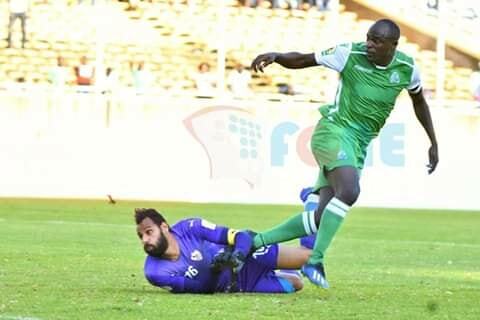 Goalkeeper Boniface Oluoch was the hero as Gor Mahia held New Star to a barren draw to progress to the group stages of the Caf Confederation Cup. Oluoch pulled fantastic saves especially in the second half to save the day for the Kenyan side and help the team qualify on a 2-1 aggregate win. 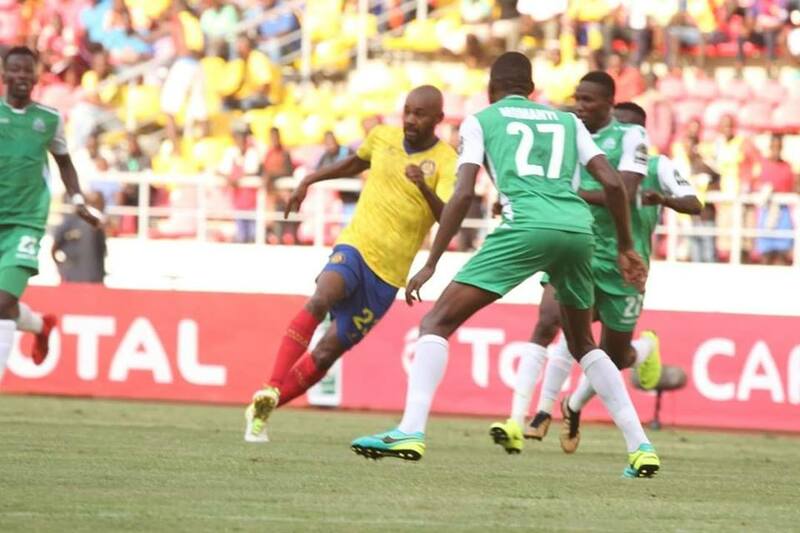 The East African side came into the match aware of the position they were in, and they needed a draw of any kind to eliminate the Cameroonian side that needed a 1-0 win to qualify to the group stages for the first time in history. Both sides started the game cautiously, each avoiding going behind and putting the team in a dangerous position. In the early exchanges, it was Arko Benjamin and Nelson Morkeu, who had good chances to get the ball into the back of the net, but they failed to capitalize on it. K’Ogalo tried to make it simple in the midfield, denying the hosts possession and opportunity to get that early goal which could have changed everything. Even in that situation, Jacques Tuyisenge, Bernard Omondi and Francis Mustafa had chances to trouble the hosts, but they were just not sure of what to do with the ball. It opened up a little after the break and the first real chance fell to the hosts in the 49th minute. A perfect pass fell to Aristide Medjo, but with all the time in the world and just the goalkeeper to beat, he sent his effort wide. Moments later, a half a chance fell to Boniface Omondi who cut inside, but his effort flew wide. Oluoch was called into action again on the 55th minute, this time round saving a Chamo Wanga’s deflected shot. The hosts attacked when they had a chance to, as Gor Mahia defended with numbers to protect their slim 2-1 lead. The East African side had their custodian to thank for the numerous saves he made throughout the second half to ensure that the ball did not hit the back of the net. It was a sigh of relief after the referee blew the final whistle to ensure that the Hassan Oktay led side reached the stage for the second season in a row.